Since acquiring Whole Foodslast June, Amazon has been sweetening the deal for Prime members with various discounts and perks. 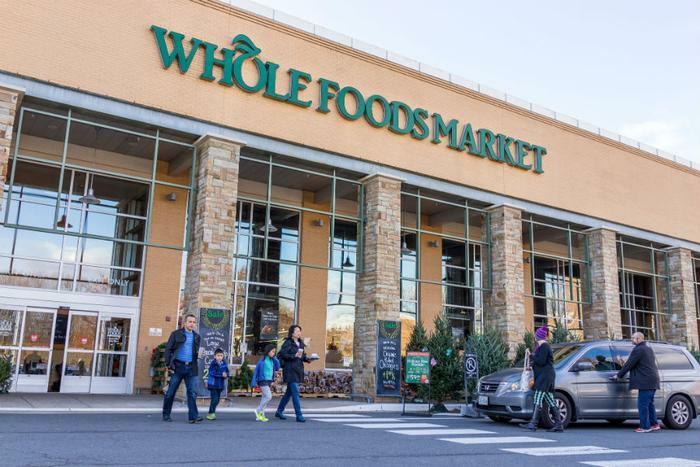 Now, Amazon has announced curbside pickup at Whole Foods locations for Prime members. Those who spend the $119 per year on a Prime membership can shop Whole Foods’ entire store either on the website or the Prime Now app, and their groceries will be ready for pickup in just 30 minutes. Customers will be charged a $4.99 fee to have their orders ready in a half hour. However, there is no extra charge for those who can wait an hour or more for their groceries. Additionally, Whole Foods will reserve parking spaces for customers picking up curbside orders. Curbside pickup will first be made available in Sacramento and Virginia Beach, and Amazon plans to roll the offer out to other cities in the coming months. Prime members have received tons of perks since Amazon acquired Whole Foods, including countless discounts and delivery options. In doing so, Amazon is achieving its goal of having more customers sign up for its Prime membership to get the additional discounts offered from both Amazon and Whole Foods. Prime members are entitled to two-day free shipping on their Amazon orders, exclusive discounts, and access to Amazon’s streaming services. “They believe this locks in the customer and induces them to buy more from Amazon,” said Scott Neslin, a marketing professor at Dartmouth’s Tuck School of Business. Though Prime memberships recently increased from $99/year to $119/year, Amazon has worked to make the membership seem invaluable to customers. “Despite the price hike, we continue to view Prime as an essential service for many consumers around the world,” an analyst wrote after the price increase in April.